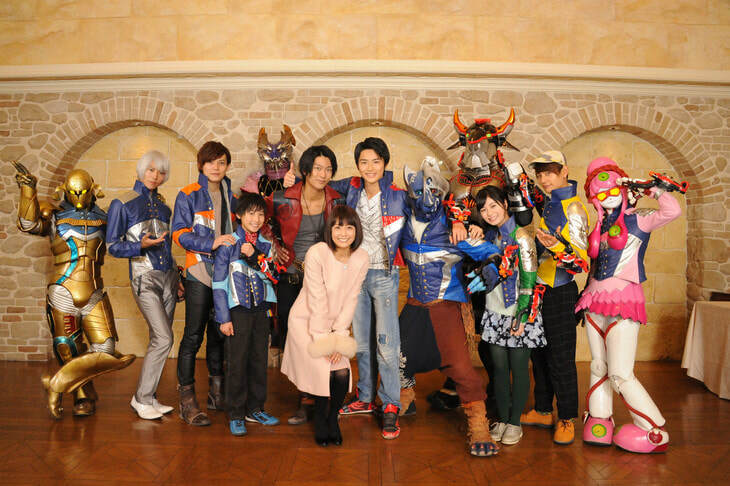 It is revealed that popular Japanese TV announcer Maya Kobayashi will make an appearance in the final episode of Uchuu Sentai Kyuranger which will air tomorrow. Maya Kobayashi is a big fan of the Kyuranger TV series thanks to the influence of her younger niece and nephew. Her role in the final episode is a TV news reporter who will be the Kyuranger's big fight with Don Almage. Uchuu Sentai Kyuranger will be airing it's final episode tomorrow morning and will be replaced with Kaito Sentai Lupinranger VS Keisatsu Sentai Patranger next sunday.